Doha, Qatar, March 19, 2019: Collaborating with Qatar’s largest and flagship medical trade event, SEIB Insurance and Reinsurance has announced its Silver sponsorship of the second edition of QMED 2019 (Qatar International Medical Devices & Healthcare Exhibition and Conference). Held at the QNCC (Qatar National Convention Center) over a 5,000 square-meter space, the exhibition will take place between March 25 and March 27. Commenting on SEIB’s participation in QMED 2019, Mr. Elias Chedid, the company’s Chief Operating Officer and Deputy Chief Executive Officer, says that this strategic partnership aims at empowering the Qatari healthcare sector as a national engine of economic growth. Since its establishment, SEIB has focally extended its support to healthcare enterprises as an integral member of the Qatari insurance sector and system, Chedid adds. SEIB is the third largest health insurance company in Qatar, Chedid notes, with this vertical representing nearly 50% of its insurance portfolio, and serving customers across the globe, while general insurance services account for the other half of its business. 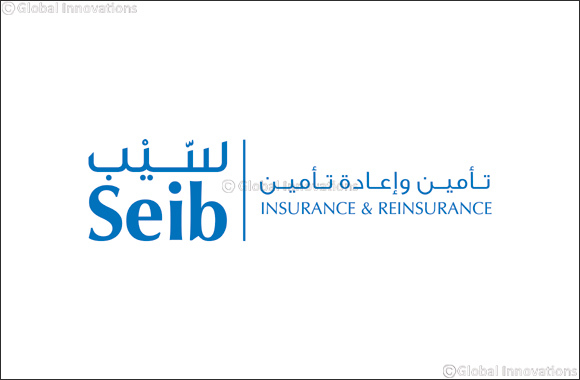 SEIB’s license in the Qatari market has enabled it to rapidly and significantly scale its operations, he adds, to a wide swath of health insurance, Takaful (Shari’a-compliant insurance) and non-Takaful products, and short-term contract life insurance services for corporate clients that are renewable on an annual basis. Building on its growth trajectory and momentum over the last nine years, SEIB will continue to expand its footprint in Qatar, Chedid stresses, particularly as the market’s structural and regulatory developments offer fertile grounds for operational scale; chief among which are laws set by the QCB (Qatari Central Bank) and supported by the government to strengthen market competitiveness, consumer protection, and nationalized economic empowerment. The strength of the national economy, backed by solid governmental expenditures, both of which have greatly pushed the sector and its contribution to the national GDP (Gross Domestic Product), remain key drivers behind the Qatari insurance market’s growth potential, Chedid asserts. Another organic driver owes to the population growth spurt that Qatar has experienced in the last decade. From nearly 750,000 in 2007, Qatar’s population has grown to over 2.8 million citizens and residents today, among whom 2.3 million have settled in the country for the last three years; a sizeable opportunity for the life insurance market, and larger insurance market, at a domestic level. The third driver to the Qatari insurance sector, Chedid points, owes to its long and established history in the market. Qatar’s most prominent insurance players had existed and scaled prior to their regulatory authorities and frameworks, having laid the foundations for the sector’s growth since their establishment. Today, the regulatory environment is continuously evolving and improving in favor of insurance product innovation and scalability, pushing, in turn, the demand for insurance products and the market around them, he added. SEIB’s QMED 2019 participation will feature a number of on-site activities and activations, in partnership with West Bay Medicare, including free medical checkups for visitors (such as blood sugar and pressure tests, and weight, height and BMI measurement), as well as educational sessions around nationwide health concerns and issues. Khalifa Al Muhandes, general manager at Sougha, the organizing company behind QMED 2019, extended his gratitude and appreciation to SEIB for reiterating its strategic partnership with and sponsorship of the exhibition. The participation and presence of the insurance sector in QMED is a reflection of the Qatari leadership’s, and particularly, His Highness Sheikh Tamim bin Hamad Al Thani, Emir of the State of Qatar’s, focused growth vision for the national healthcare sector and its economic clout in the country, Al Muhandes adds. Qatar’s national growth sectors have crossed numerous milestones in recent years, he asserts. Among them, the healthcare sector has received focal and great support by Qatari leadership, as Qatar ranks amongst the most advanced markets in the field, backed by a technologically advanced infrastructure of hospitals and facilities across medical disciplines. To this backdrop, QMED serves as both an exhibition and knowledge exchange platform, celebrating the integral role and remarkable growth of insurance companies operating in the local market at the service of the healthcare sector and its service excellence for all residents and citizens in Qatar. Among these industry leaders, SEIB Insurance and Reinsurance has cemented itself as a prominent national company, licensed by the Qatar Financial Center Regulatory Authority. The company’s scope of products and services has grown to a wide array of insurance solutions to both individuals and corporate entities, covering global insurance programs, as well as machinery and equipment, homeowners’ and other large-ticket asset insurance services. SEIB also offers comprehensive Takaful insurance products, in compliance with Shari’a principles and regulations. Under its corporate portfolio, the company provides enterprise insurance solutions, covering property and assets, engineering, energy, navigation, financial, accidents, machinery and equipment, fuselage, travel and medical insurance packages and programs.